"Shoot for the moon. If you miss, you’ll at least land among the stars." We love this quote and think our latest 14K gold and diamond arrow necklace is the perfect way to express this sentiment! 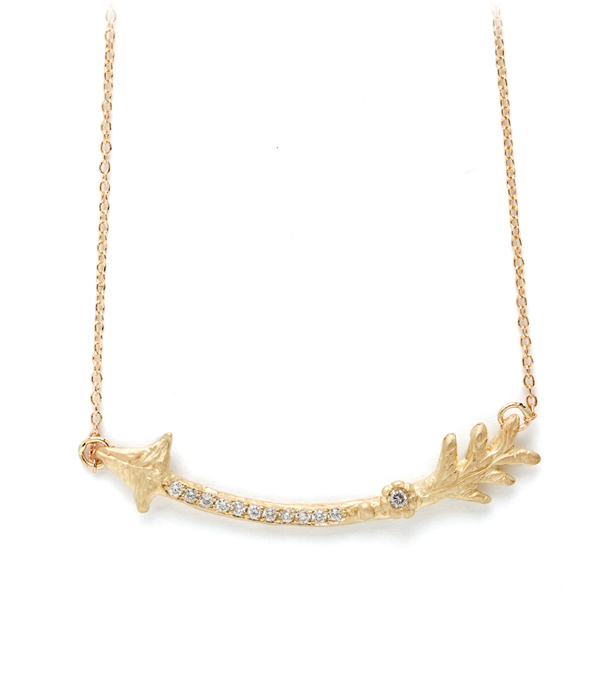 A twig textured arrow set with a row of twinkling diamonds and one diamond set daisy gracefully hangs from a dainty cable chain. A gorgeous everyday piece that, also beautiful when layered with some of our other pieces from the Earth and Sky collection.